Today’s inspiring teacher comes from Chris Johnstone, Science teacher at Middlebury High School. It might sound like it’s a story about drones and 3D printing - but to me it’s a story about student agency. Chris Johnstone, @TechieSciGuy is one of my favorite Vermont educators to follow on twitter. His post are filled with examples like this story. So inspiring. So when I got to meet him face to face at Create Make Learn Summer Institute in 2016, I was honored to meet him face to face. The story of this Middlebury High School student can be told in few words - and less than 140 characters! Nick, an 11th grade student at Middlebury High School, learned about 3D printing in his STEM Class. Flying his toy drone lead to a fairly typical outcome - crash! 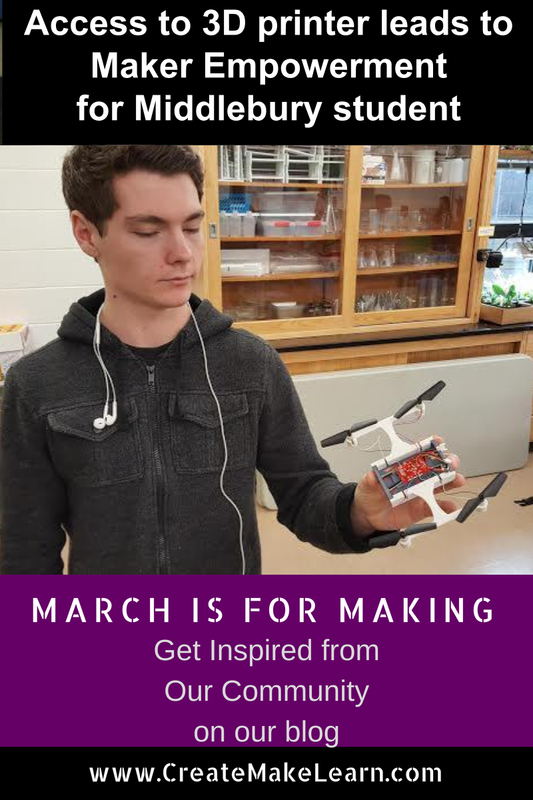 Empowered by 3D printing skills that he learned in his school’s STEM class, and by the access to a 3D printer in high school library maker space, he immediately hopped onto TinkerCad and started to design a new frame for the broken drone. He was able to access the MakerBot 3D printer in his school library makerspace, currently on loan from AET Labs, to see his model come to life. With a new part in hand, Nick transferred the electronics from the old drone to the new frame that HE had designed and 3D printed! Now that is what I call Maker Empowerment! 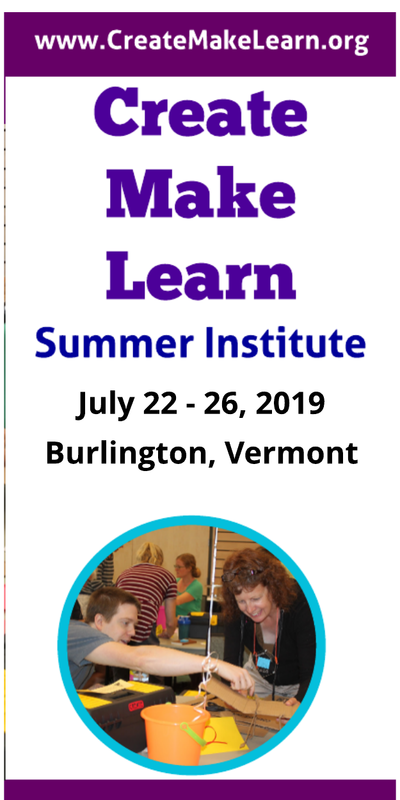 Every since I read version 2 of maker empowerment as defined by Agency by Design in their research about maker centered learning, I’ve been tuned it to seeing it in action everywhere in schools who have adopted maker centered learning as part of their learning landscape. 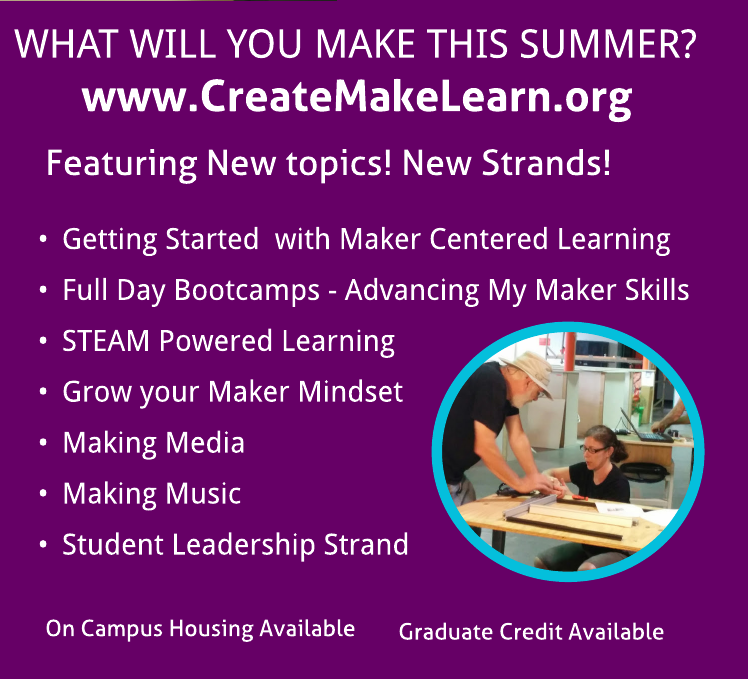 As I have been reading their new book, Maker Centered Learning Empowering Young People to Shape Their Worlds, I, too, am convinced that the benefits of creating and making in our schools goes beyond curricular connections. Nick’s story is a perfect example! Although none of today’s story happened as part of Mr. Johnstone’s science class - Making provides teachers and students opportunities for curricular connections and real life applications based on interest and passion. 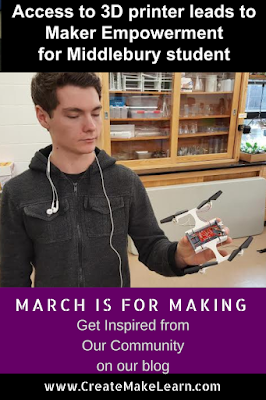 I imagine that Nick’s passion is one of the many ways that Mr. Johnstone - a self proclaimed addict of both 3D printing and building multicopters- connects science to real life.